They might not be the most exciting or glamorous of Honda’s product lineup, but water pumps are a vital power tool for a number of applications. 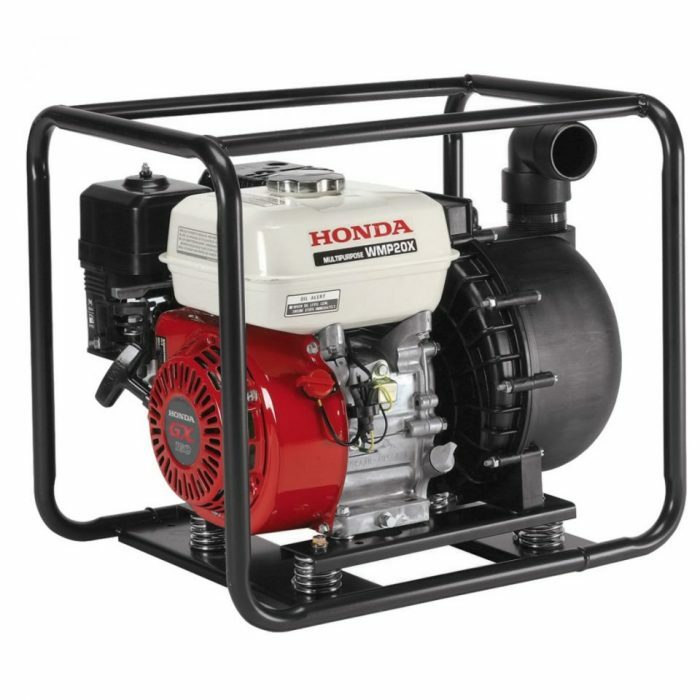 And if you’re looking for one that has Honda-caliber quality, reliability, and value, it’s good to know that Honda offers a great selection of pumps and accessories for every need – from small plumbing jobs to large-scale construction functions. Let’s take a look at a few of the most popular Honda water pumps available from Brannon Honda. The WSP33 is a budget-friendly 1/3-horsepower 115-volt submersible pump has a 40-gallon minimum capacity and lightweight, durable casing. It can be plugged into a standard outlet and is perfect for draining basements, decorative fountains, garden irrigation, and more. At the other end of the spectrum from the budget-oriented WSP33 is the WT40, a heavy-duty 4-inch construction trash pump. This model is specially designed for job sites and applications that require a capacity for high volumes of trash water. This model has a 423-gallon minimum capacity – the highest of any Honda pump – and is powered by an easy-starting OHV commercial engine. The WMP20 is a multi-purpose 2-inch pump designed for pumping industrial and agricultural chemicals. It has a 220-gallon minimum capacity and a thermoplastic pump housing for chemical capability. Its durable Honda GX series commercial-grade engine is easy to start and provides plenty of power under even the toughest conditions. With a fantastic selection of the highest-quality Honda power products, Brannon Honda can help you find exactly what you need for your personal or commercial lawn care, construction, plumbing, and power needs. Honda generators, lawn mowers, water pumps, tillers, and brush cutters are built to last, engineered to perform, and boast the overall quality associated with the Honda name. When you visit Brannon Honda, our Honda power equipment experts will be on hand to answer your questions and direct you toward the right product for your needs and budget. Stop by today; we’re conveniently located at 300 Gadsden Highway, Birmingham, AL 35235.